· more innovative, by enabling faster and more market focused innovations both in terms of hardware and software as well as new business models. · Product Line Leaders will manage global product roadmaps and introductions as well as product cost and quality to ensure global consistency. · Brand Leaders will manage all commercial and go-to-market aspects including the ideal positioning of our industry-leading brands. · Support Function Leaders will drive segment specific processes and systems including Finance, Information Communication Technologies and Talent, amongst others. · Agriculture comprising the global agricultural brands of Case IH and New Holland Agriculture, together with the regional brand of STEYR. The Agricultural segment will be led by Derek Neilson, President Agriculture, who was the former COO of the EMEA region, a role he held since 2015. · Commercial and Specialty Vehicles including commercial vehicles brand IVECO, bus and coach brands IVECO BUS and Heuliez Bus, off-road and quarry vehicles brand IVECO ASTRA, firefighting brand Magirus and the Iveco Defence Vehicles brand, which focuses on civil protection and defense vehicles. The Commercial and Specialty Vehicles segment will be led by Gerrit Marx, President Commercial and Specialty Vehicles, who newly joins CNH Industrial. Mr. Marx has a strong automotive background, including commercial vehicles, having served for Daimler Trucks and Volkswagen in different world regions. · Construction comprising the CASE Construction Equipment and New Holland Construction brands. The Construction segment will be led by Carl Gustaf Göransson, President Construction, who has been responsible for the construction segment since 2016. · Powertrain focuses on the FPT Industrial brand, producing powertrains, axles, and transmissions. The Powertrain segment will continue to be led by Annalisa Stupenengo, President Powertrain, who assumed this role in 2015. · Financial Services is a global Financial Services player in the agricultural, construction equipment and commercial vehicles industries. The Financial Services segment will continue to be led by Oddone Incisa, President Financial Services, who assumed this role in 2013. · Finance, M&A and Sustainability will oversee the consolidated financial performance and controls, as well as financial planning & analysis, tax, treasury & risk management, investor relations, mergers & acquisitions and the Company´s sustainability activities. · Strategy, Talent, ICT and Digital will manage the Company-wide strategy, internal stakeholder communication and human resources activities. It will also oversee the Company’s information and communication technology infrastructure as well as drive development of connected processes, services and business models. · Technology will manage core Company-wide technology programs including the Company’s stronger focus on the areas of automation and electrification. · Supply Chain will coordinate Company-wide procurement, manufacturing and quality activities ensuring leverage of scale, sharing of best practices, network optimization as well as continued application of Industry 4.0 concepts. · High Growth Markets: Asia, Middle East and Africa (AMEA) and South America (SA) will manage and coordinate regional sales, distribution and business activities across segments for those high growth regions and will manage the Company’s joint ventures and strategic alliances locally. · Aftermarket Solutions will ensure global Parts, Technical Service and Service excellence across the operating segments. While primary profit and loss responsibilities will reside within the respective operating segments, as will their commercial realization, the Aftermarket team will ensure accelerated development and deployment of innovative aftermarket concepts. · Finance, M&A and Sustainability – Max Chiara will continue to serve in his previous roles as Chief Financial Officer, a role he has held since 2013, and Chief Sustainability Officer, a role he has held since 2016. 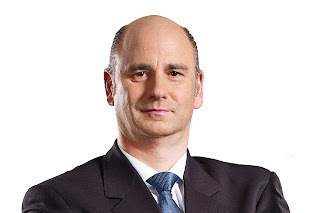 · Strategy, Talent, ICT and Digital – Andreas Weishaar, Chief Strategy, Talent, ICT and Digital Officer joins the Company with a rich background having served at AGCO Corporation and Welbilt Inc. in similar roles. Mr. Weishaar started his career at Arthur D. Little. · Technology – Alan Berger, former Chief Technical Officer, will assume the role of Chief Technology Officer for the Company. · Supply Chain – Tom Verbaeten, former Chief Manufacturing Officer, will assume the role of Chief Supply Chain Officer. · High Growth Markets AMEA – Stefano Pampalone, former COO APAC, will assume the role of General Manager Asia, Middle East & Africa (AMEA) and will be responsible for all joint ventures and strategic alliances. · High Growth Markets SA – Vilmar Fistarol, former COO Latin America, will assume the role of General Manager South America. · Aftermarket Solutions – Luc Billiet, former President Parts and Service, will assume the role of General Manager Aftermarket Solutions.